Throughout the book, contributors either draw on the political consciousnesses of ‘Other’ feminisms, or privilege the voices of ethnic 'Other' girls and women so as to broaden, diversify and advance critical thinking pertaining to ethnic ‘Other’ females in sport and physical culture. The purpose of the collection is both to produce knowledge and privilege otherwise subjugated knowledges, which individually and collectively present counter-narratives that better speak to the lived realities of racially oppressed groups of women and girls. 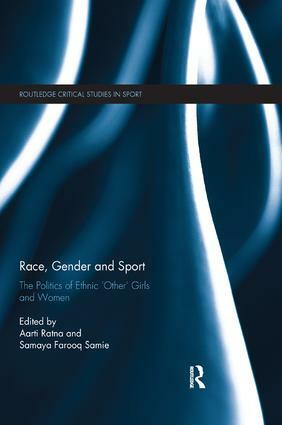 Race, Gender and Sport: The Politics of Ethnic 'Other' Girls and Women is important reading for all students and scholars with an interest in the sociology of sport, gender studies, or race and ethnicity studies.